"Dissociative amnesia occurs when an individual blocks out certain information, usually associated with a traumatic or stressful event, leaving her or him unable to remember significant personal information." The level of memory loss goes beyond normal forgetfulness including gaps in memory for long periods of time. This is also known as psychogenic amnesia. The primary cause of dissociative amnesia is stress linked with traumatic experiences that one has either survived or witnessed, including major life stressors as the death of a parent or a spouse, financial problems, severe internal conflict and guilt associated with serious crimes or turmoil caused by problems with another person. There might also be a genetic link to the development of dissociative amnesia and is more common in women than in men. 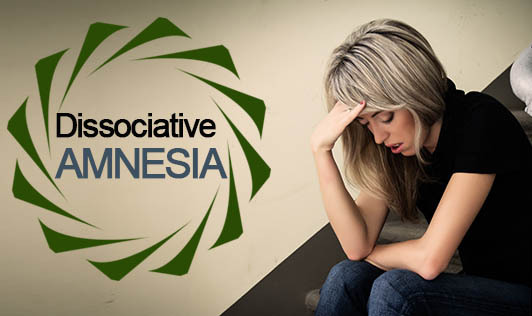 What are the symptoms associated with Dissociative Amnesia? Treatment for dissociative amnesia involves developing new coping skills, restoring functioning and improving relationships. Doctors might use diagnostic tests to rule out physical illness or medication side effects as the cause of the symptoms. If you or a loved one has experienced abuse or another traumatic event, contact your doctor as soon as possible!